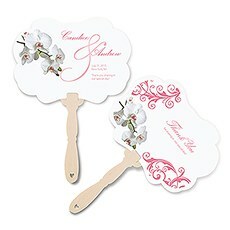 You'll love our splendid selection of personalized printed hand fans available for fantastic prices at Weddingstar. 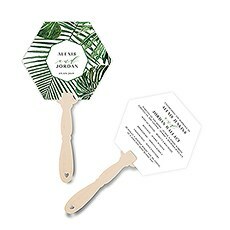 Choose from a huge variety of colors, styles, prints and themes that will complement your wedding decor, as well as your personal sense of style and design. 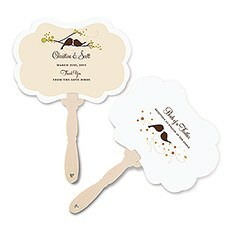 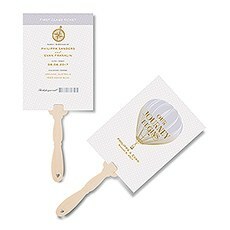 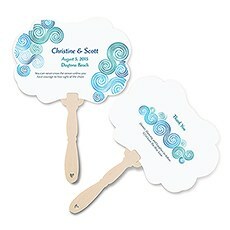 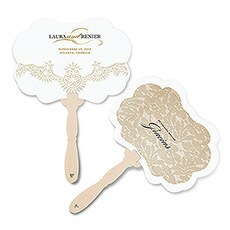 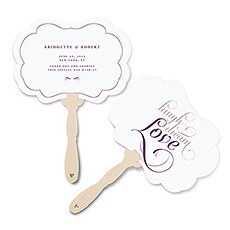 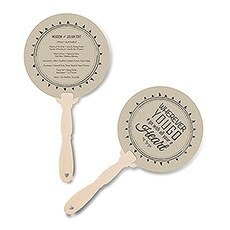 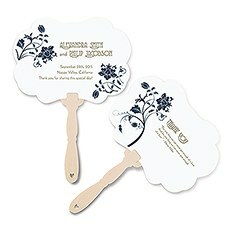 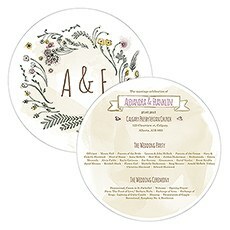 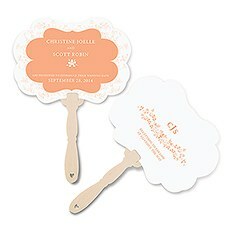 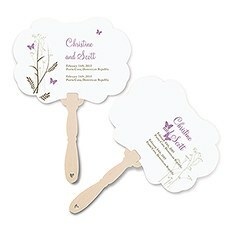 Our wildly popular personalized wedding hand fans have been a best seller for years. 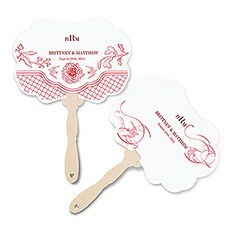 See why these personalized fans are a customer favorite!Add these high-quality personalized fans to the entrances at your wedding ceremony, by your guest book or offer them at each table at your wedding reception to help your friends and family beat the heat with these charmingly designed fans. 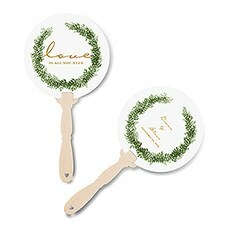 Guests will appreciate these thoughtful take-home wedding favors - each time they use them they will remember you!Browse our amazing selection of printed fans, as well as our ideas and inspirations for ways to incorporate these fab finds into your ceremony, wedding or party. 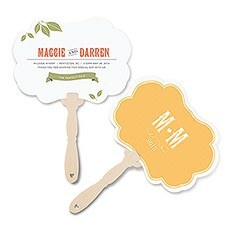 Our personalized wedding hand fans come in different shapes, sizes and designs - choose the one that best matches your decor or that speaks to you.These charming personalized wedding hand fans feature brilliantly vivid colors and designs. 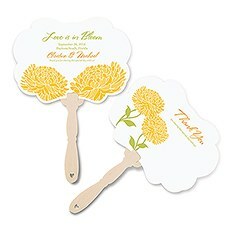 For lovers of gardens and flowers, choose our Floral Orchestra, Zinnia Bloom, Love Wreath, Classic Orchid, Rose or French Whimsy designs. 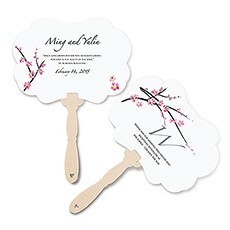 These designs are ideal for spring or summer weddings, outdoor themed weddings or simply for those who love the beauty of buds and blooms. 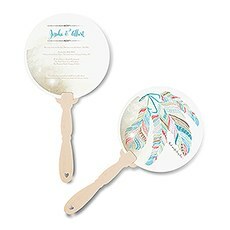 For whimsy and charm, choose our Feather Whimsy, Homespun Charm, Romantic Butterfly or Love Bird personalized wedding fans.From nautical, sea-faring and beach motifs to vintage travel or glitz and glam themes, we will have a personalized fan that will suit your taste and style. 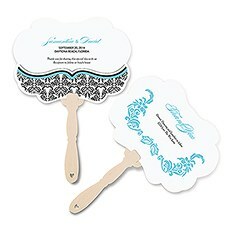 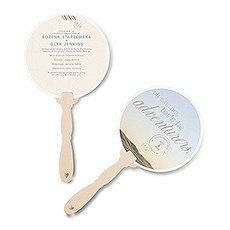 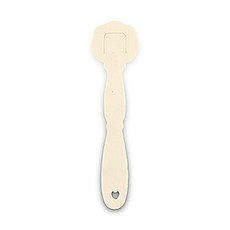 These personalized fans come in scalloped, round, square and rectangular edging details.With all the choices you have with these personalized hand fans, one thing is for certain; you will always find a fantastic deal on wedding and party favors and personalized hand fans here at Weddingstar.